3Play Media suggests including a copy of your transcript in your HTML within <noscript> tags. By doing this the spoken words of your content will be indexed by search engines like Google and Yahoo. Follow the steps below to add a transcript to your HTML to boost SEO for your content. Note: This can be done in addition to embedding a 3Play Media interactive plugin with your video player on your webpage. PRO TIP: Before getting started you may want to set Plain Text as one of your favorite formats. Locate the file from the My Files page that you need to download. If Plain Text is set as one of your favorite formats it will be an option in the dropdown menu when the Quick Download icon is clicked. Click Plain Text and it will immediately begin to download to your computer! If a favorite format has not yet been configured, click +Add favorite formats. If other formats are listed but Plain Text is not listed click Edit favorite formats to add this format. See more information on Favorite Formats. Open the Plain Text transcript fiile and copy the text from this document. Open the HTML document that corresponds to your content. Below your video embed code and plugin embed code (if you are working with a plugin) , paste your transcript between <noscript> tags. Save your HTML when you are done. There's the old way of doing captioning and transcription. The way that's expensive, unreliable, and well complicated. And then there's the 3Play Media way. The most advanced solution for video accessibility ever. It's captioning and transcription utterly transformed. 3Play Media makes it simple to upload your video and get back near perfect captions and transcripts in just about any format. If you use lecture capture or a video platform, 3Play Media lets you process your files with a push of a button. But that's just the beginning. With 3Play Media the text of your video comes alive. Every word becomes searchable and interactive. It's now possible to jump to an exact quote or scene and create a shareable clip. Simply put, 3Play Media opens more possibilities for your video than ever before. Now once invisible text can be found by search engines. Now people are engaged and interacting with your video. Now you'll wonder how you ever did video any other way. 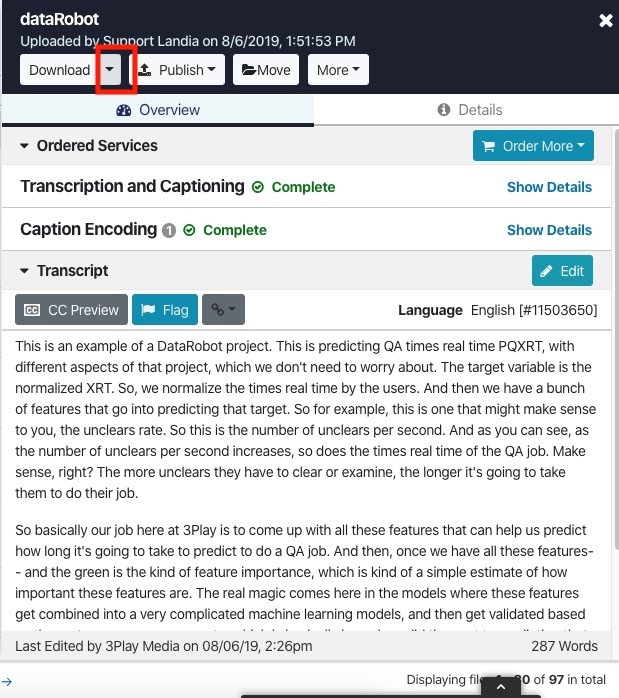 3Play Media, captioning and transcription transformed.